A cavity is a hole in your tooth that can grow bigger and deeper over time. If you find that you have a cavity, it’s important to get it repaired sooner rather than later to minimize damage. Sometimes our teeth let us know when we have a cavity; other times, we may not realize it until we have a checkup. But the earlier you are able to detect a cavity, the easier it will be to deal with it. 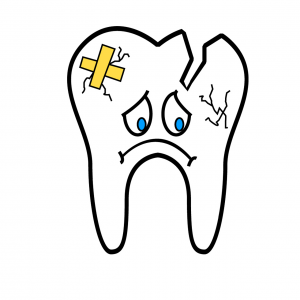 Extreme sensitivity to cold or hot fluids and foods, causing discomfort or pain, may indicate that tooth decay is allowing the nerve inside of your tooth to be affected. Pain may occur in the tooth, or in the gums below the tooth. The pain may be dull and throbbing, or sharp pain that starts suddenly, without apparent cause. Sudden sharp pain while biting or chewing food, or just touching the tooth, may indicate that the nerve in your tooth is being affected because the tooth is infected and decaying. Black, brown, or white spots or stains on the tooth surface may be natural stains, but if the spot is sticky or soft, it could be a symptom of an infected tooth with a growing cavity. If you have discomfort or pain in a tooth while eating, look for a hole or pit in the sensitive area, and visit a dentist to have the cavity filled. The same bacteria that lead to tooth decay can cause odor and a bad taste in the mouth. Bad breath can also be a sign of gum disease resulting from plaque buildup on teeth that is irritating the gums. Recurring bleeding during brushing can be a symptom of a deep cavity or a gum disorder, and a very large cavity can also cause bleeding from the tooth. Swelling in the gums may be due to a cavity or gum infection. The swelling may not be painful. A very deep cavity can result in infection of the nerve that causes swelling. If you are experiencing any of the symptoms above, it makes a lot of sense to schedule a visit to your dental professional. Filling a cavity at the earliest possible stage will reduce your symptoms and prevent the cavity from growing larger and impacting deeper layers of your tooth. Call the experts at Longmeadow Family Dental Care or make an appointment here.